Not only were we blown away by Shadi and John’s incredible spring wedding, but we loved Shadi’s gorgeous bridal pictures captured by Perez Photography so much that we chose her to be our Fall/Winter 2013 cover bride! 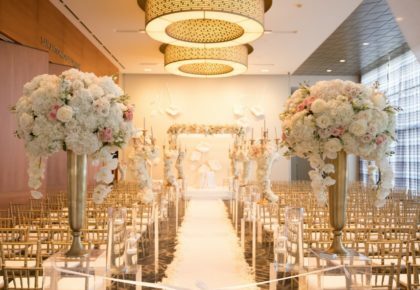 We can’t get over her stunning Reem Acra gown from The Bridal Shop at Neiman Marcus! 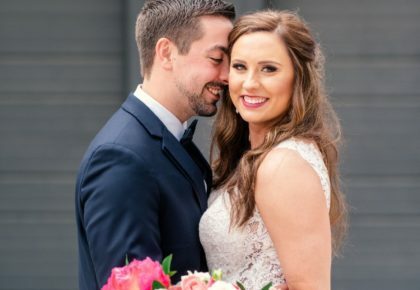 We’ve been dying to share a little more from this amazing spring soiree perfectly planned by Elizabeth Gonzalez and Amanda Connolly with After Yes at Le Meridien Dallas, The Stoneleigh! 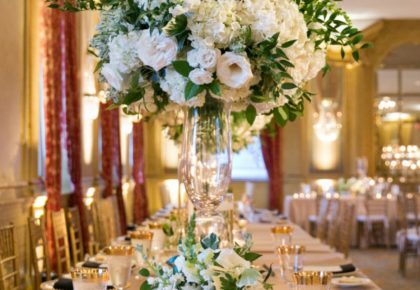 The florals from Bows + Arrows took our breath away and we can’t get over the gorgeous confection from Sugar Bee Sweets — love! 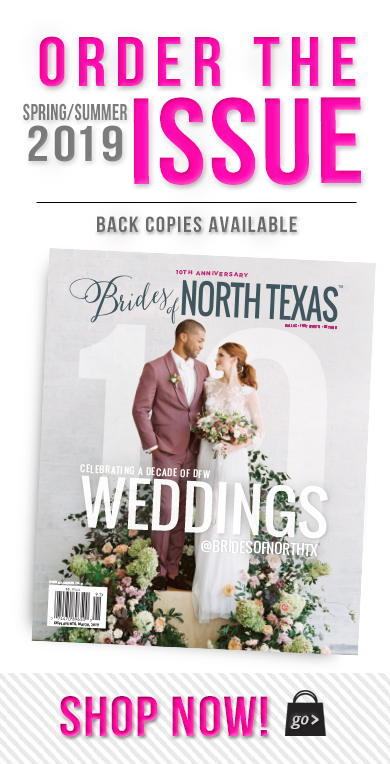 Make sure you watch this adorable couple’s wedding highlight video perfectly captured by Candlelight Films, and pick up a copy of the new Fall/Winter issue of Brides of North Texas on newsstands next week to read more about Shadi and John’s big day!